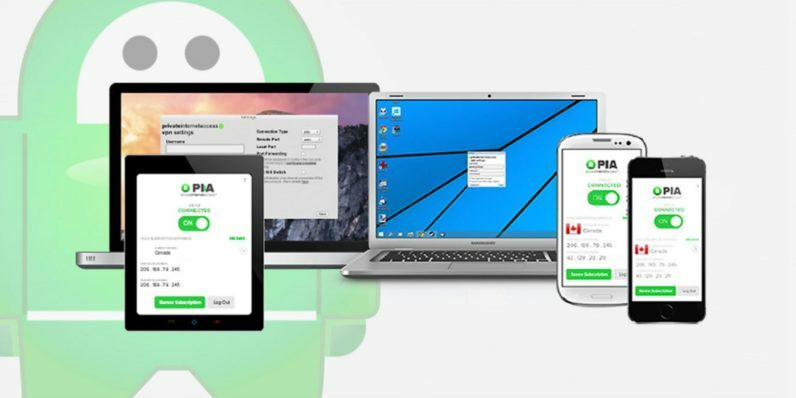 In the realm of virtual private networks (VPNs), Private Internet Access not only looms as an unquestioned industry leader in protecting your online activities, but with deals like this two-year subscription for only $59.95 (63 percent off its regular price), it’s also one of the most affordable VPN services as well. Take an additional 15 percent off with coupon code, “PIA15”. Among the top tier of VPN providers, PIA is in that elite class. You don’t just become a PC Magazine Editors’ Choice pick by accident. Regardless of whether you’re logged in on your home network or using potentially dodgy open public Wi-Fi, PIA technology creates a fully secured connection that keeps out anyone — cyber-thieves, government watchdogs, nosy family and friends, etc. — from ever unlocking your personal details. With more than 3,300 services in 31 regions around the globe, you’ll always have access to fast service speeds and data encryption based on the ultra-secure Blowfish CBC algorithm. And no matter what you do online, PIA access is never tracked. Not even the company logs the web activity on your cloaked IP, which means you’ve got complete online anonymity every time you’re online. Your coverage will be good for up to five devices, blocks unwanted connections, circumvents geo-locked content restrictions, stops ads, trackers and malware (with the new MACE feature), and even includes an automatic kill switch that’ll instantly sever your web traffic if the PIA connection should drop without warning. That’s a lot of performance for just $2.50 a month, so grab this deal now before it runs out.